You'll find Tesco Metro at 63 Saint Thomas Street, a 0.41 mile driving distance south from the centre of Weymouth (not far from Weymouth Marina and Radipole Lake Nature Reserve). This supermarket is an important addition to the districts of Overcombe, Wyke Regis, Melcombe Regis, Weymouth Town Centre, Littlemoor, Radipole Village, Nottington, Rodwell and Chickerell. It's open today (Thursday) from 7:00 am - 10:00 pm. For more information about TESCO Weymouth, St Thomas Street, including the business times, location particulars and email info, please refer to the sections on this page. You will find Tesco Metro not far from the crossroads of St Thomas Street and Lower Saint Alban Street, in Weymouth, Dorset. Just a 1 minute trip from Commercial Road, The Esplanade or Westham Road; a 2 minute drive from Weymouth Way, King Street and Westwey Road; or a 4 minute drive time from Dorchester Road, Rodwell Road, Wyke Road and Chickerell Road. For those using GPS devices, enter the postcode DT4 8EQ. Buses stop directly at Harbourside, Commercial Road and St Thomas Street/Town Bridge. Easily accessible along the lines: 3, 8, 206, 207 and CB2. Train services drop you right at Weymouth Station (2610 ft away). Located on the South West Trains and GWR lines. In the vicinity you can find Weymouth Golf Club, The Bus Depot, Conifers Primary School, Weymouth Community Hospital and Health Centre, Weymouth College, Lodmoor Country Park, Nothe Gardens, Bay Miniature Railway and Westhaven Hospital. The total number of TESCO supermarkets currently open in Weymouth, Dorset is 3. Please note: UK legal holidays may result in modifications to the standard working hours for TESCO in Weymouth, St Thomas Street. In the year of 2019 it is applicable to Xmas, Boxing Day, Easter Monday or Spring Bank Holiday. 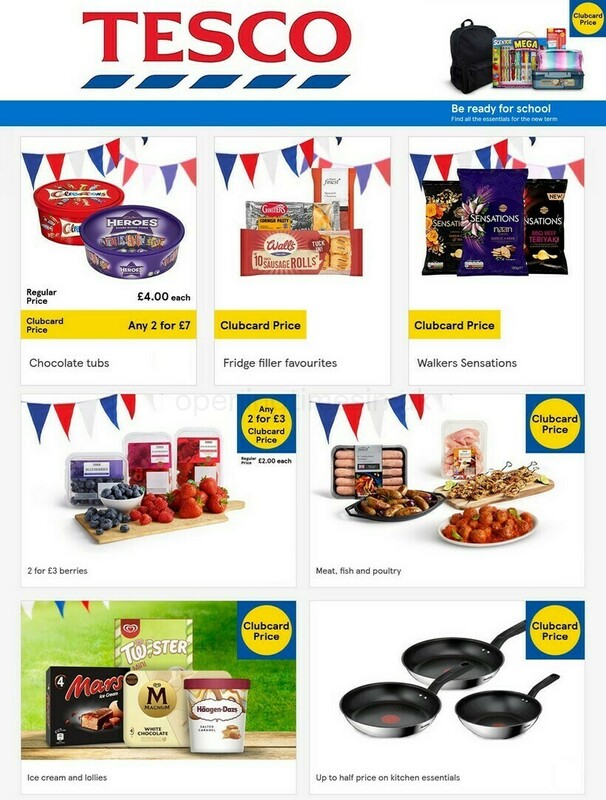 It is suggested that you visit the official site or call the direct service number at 0800 50 5555 to get additional information about TESCO Weymouth, St Thomas Street holiday opening times. It's our team's desire to deliver you with the most up-to-date information. Please feel free to utilize the report a problem form to report any errors with the location details or operating hours for TESCO in Weymouth, St Thomas Street. In the box below, please voice your review of TESCO, and rate its supermarket using the star rating scale. Your critique is valued.